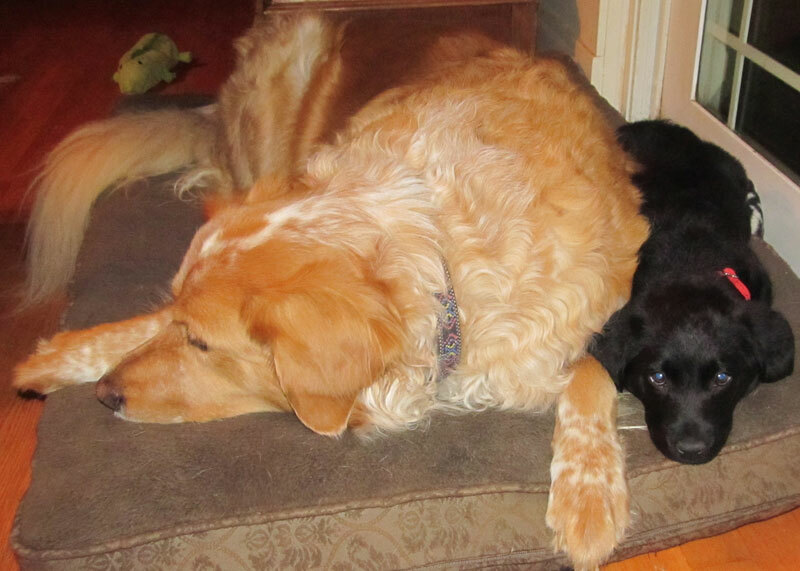 Rosie says napping is best with a friend. She looks so small :-) I can't help but think what it will be like to look back on this picture a year or more from now...good to see her fitting in so well with her big brothers. She looks so nice and comfy! Happy napping! A snuggle buddy, nothing better. Naps are awesome! Cute picture. Napping all snuggled up together is the best! It's always better to nap with company. We couldn't agree more. While Boomer and Dottie don't exactly nap with each other they will nap with me! look at those adorable sweeties! So sweet. Is there room for you? Awww! She's still small enough to sleep with him!